London, early-1970s: a city plagued with disappearances, football violence, Republican bombings, blackouts and virulent racism. A new urban myth is taking hold. 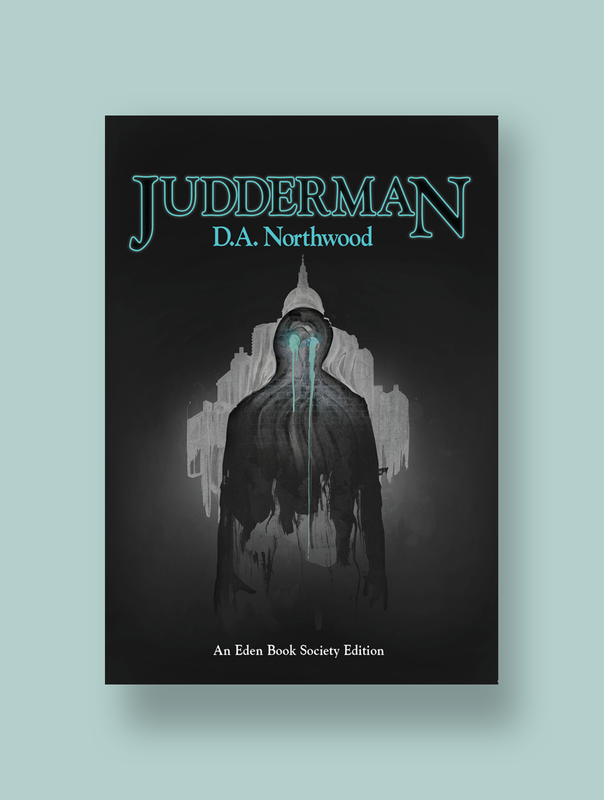 Among the broken-down estates, crumbling squats and failed projects of a dying metropolis, whispered sightings of a malevolent figure nicknamed the Judderman are spreading. A manifestation of the sick metropolitan psyche, or something else? Gary Eider’s brother loved London, and was terrified by it. And now he’s gone; he saw something no one else was willing to see. To find his brother, Gary must descend into the city and its violence, its hate, and its spite. There is something lurking there and it holds the answers to the city. Published by The Eden Book Society in 1972, cult author D.A. Northwood’s Judderman is an uncompromising snapshot of a city in metamorphosis. Saturated with a nihilistic sense of doom it is a bleak but compelling vision of urban living.